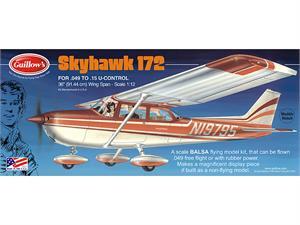 Claimed by its maker the Cessna Aircraft Co. of Wichita, Kansas to be the best selling single engine airplane in the world, the Skyhawk can take four adults and their baggage at 134 M.P.H. for 450 non-stop miles and still have 45 minutes of reserve fuel. Over 17,000 of these aircraft are in service around the world. 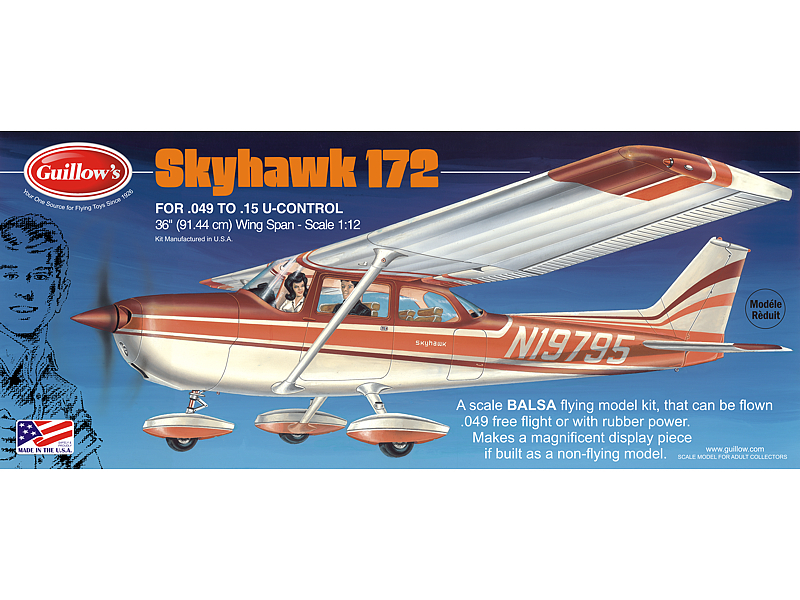 Model 172 specifications: wing span, 35’-10”; wing area, 175.5 square feet; length, 26’-11”; height, 8’-9 ½”; service ceiling 13,100 feet; power, 4 cylinder engine 150 rated H.P. at 2700 R.P.M. ; speed, at sea level, 139 M.P.H.